ABA â€“ Chairman of Osisioma Ngwa council area, Abia State, Hon. Benjamin Mgbeahuru, has lamented that the people of the area lack potable water as the Nigerian National Petroleum Corporation, NNPC, dump has polluted their land.He stated that some pipeline host communities can no longer farm on their lands due to the devastating effects of spillage and effluent from the NNPC depot. South East Voice observed that the NNPC depot dump located along Geometric road had encroached on the road and poses danger to motorists. Mgbeahuru who disclosed this while receiving members of the Nzuko Ohanaeze Ndi Ukwa/Ngwa at Osisioma, said NNPCâ€™s negligence has caused untold suffering for the people of the council and urged the corporation to compensate victims.The chairman noted that several residents died in their houses as fuel spilled to different areas, stressing that the incident has gone beyond the councilâ€™s capacity to handle. Taking South East Voice round the scenes of the pipeline explosion which killed over 200 people at Umuaduru and Umuiom communities as well as the NNPC dump; Supervisor for Environment, Hon. Chile Ugochukwu, alleged that NNPC was alerted on the leaking pipeline, but failed to mend it. He further stated that the depot management refused to attend the Councilâ€™s peace and security meeting, despite invitations extended to them. The supervisor further lamented that Ekeakpara road which leads to the NNPC depot connecting the Aba â€“ Owerri highway, has been in a dilapidated state for over 10 years.â€œThe NNPC waste dump has polluted our land, our water is now unsafe. Some communities hosting pipelines can no longer farm because spilled petroleum products have devastated their farm lands. The Ekeakpara road where the NNPC depot is located has been abandoned for over 10 years now. NNPC trucks have destroyed our roads. Our safety is supposed to be part of NNPCâ€™s social responsibility, but they have failed to show concern. When their managers come, they do so by helicopters. NNPC is here for business, but they are doing it at the detriment of our people. Look at their dump behind the depot; it is fast encroaching on the road and poses danger to motorists. â€œLast year, two of our people drowned in the dump. Now, their negligence on the leaking pipeline has killed over 200 people. When we got reports about the leaking pipeline, we extended invitation to the NNPC for our peace and security meeting, but they failed to attend. As at today, NNPC pipelines are still leaking in several communities, posing danger to the people. We are calling on them to relocate the dump before it kills more of our people. We get nothing from the depot; no employment, no scholarship, no good road and no electricity. NNPC has brought suffering to Osisioma Ngwa people. Nothing can compensate our loss.â€ Effort to contact the NNPC Depot Manager, Aba, Mr. Joseph Dumaka, was unsuccessful. 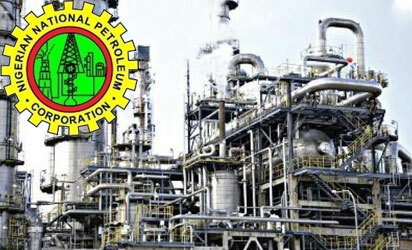 However, a senior NNPC official at the Aba depot told South East Voice that only the national head office of the corporation could react to such matters.